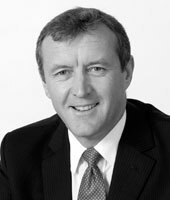 Andy Moore was a founder partner of The Moore Scarrott Partnership in 2001. 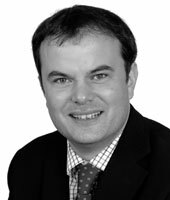 Prior to forming Moore Scarrott, he was a partner in a regional accountancy practice. He qualified as an accountant nearly 20 years ago, becoming a fellow in 1999 and is our lead Veterinary partner. Andy also deals with many of the aspects of managing Moore Scarrott. He has written a considerable amount of editorial over the last 20 years for various professional journals, most recently writing the finance section of the BSAVA Manual of Best Management. He has also lectured on behalf of various organisations, including VPMA and BVA on a range of Veterinary matters. Andy's Veterinary knowledge comes from being a Vet's son and seeing practice for the first 16 years of life. He therefore understands practice from the Vet's perspective. This insight and knowledge enables us to differentiate ourselves and deliver practical, pragmatic advice. Steve works exclusively within the Veterinary team at Moore Scarrott, dealing with a wide portfolio of clients. He has a particular interest in dealing with large mixed practices and helping them deal with the challenges they face. He is also heavily involved in the practice restructuring and tax mitigation projects. Having previously worked for a large regional accountancy practice, where he completed his training to become a Chartered Accountant, Steve joined the practice in 2008 and then became an Associate Partner in 2010 and a Partner in 2012. Steve holds special lecturer status with the University of Nottingham where he lecturers vet students on practice finances. He has also lectured on behalf of the BVA. Steve is married to Rachael, who is a Small Animal Vet working in North Devon, and is the son of Devon Dairy Farmers. This personal background provides him with additional insight into the Veterinary profession and the challenges faced by farmers, which is invaluable in providing advice to clients. Nick has a background in finance working for a high street bank for almost 17 years. During this time he held many managerial positions within the personal, business and commercial sectors of the Bank. In 1999 Nick decided on a career change and moved in to accountancy, qualifying as a Chartered Certified Accountant in 2001 with a large regional practice. In 2003 Nick joined Moore Scarrott. Nick’s banking background means he is well placed to give advice on the financing options for businesses. He regularly advises on "start up" situations and "buy in" situations as well as acquisitions and disposals. 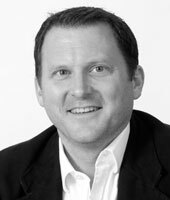 Nick committed his long term future to the Moore Scarrott Partnership by becoming an Associate Partner on 1 December 2010. Nick holds Special Lecturer status with the University of Nottingham where he lectures on the subject of accountancy and finance. 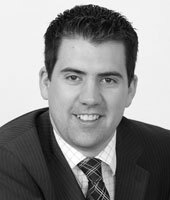 Simon joined The Moore Scarrott Partnership as a trainee in 2004 and has worked his way up to Associate level. Having worked in the Vet Team for many years, Simon works solely with Vets offering a superb service and a wealth of experience to his clients, including assisting with remuneration planning, partner buy-ins and exits, buying and selling practices and many other areas of running a successful veterinary practice. Simon leads a team of accountants dedicated to helping veterinary practices to grow and develop, providing them a seamless compliance service as well as giving them real-time financial and commercial information and assisting them to interpret this information in order to benefit their practice. Outside of work, Simon likes cooking, watching motor sports and spending time with his dog. Duncan joined The Moore Scarrott Partnership in early 2015 after working in a mid-tier firm for 16 years having joined as a trainee and working his way up to Director level. Duncan has a vast knowledge of businesses spanning all sectors of the market, having advised clients ranging from small start-up businesses to large multi-national groups throughout his career. Whilst his client base is diverse, a common thread running through his portfolio is that they are all owner-managed businesses. As well as providing audit and compliance services, Duncan provides business support, tax planning and strategic advice to business owners and has often sat on Boards acting as Interim Finance Director. Duncan places a great value on developing long-lasting relationships with his clients and offers a commercial and pragmatic approach to his advice. Having grown up in the South West, Duncan lives in Somerset with his wife and two children and enjoys spending time with his family, reading and playing sport. John joined Moore Scarrott as a Consultant in May 2014 following the acquisition of Bertram Kidson. 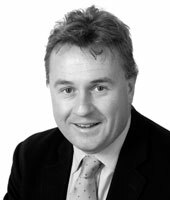 He had been a partner in Bertram Kidson since 1987. John has been working with veterinary practices since 1987 and continues to look after a small portfolio of practices within Moore Scarrott. He is married to Heather who has worked with him at Bertram Kidson since 1999. Prior to that Heather worked at Barclays in a number of managerial roles, including a time with the veterinary management team. Roger joined The Moore Scarrott Partnership from a small West Country practice in 2010 looking to build on his experience working with owner-managed businesses. Roger has an agricultural background and started within the Agricultural team at Moore Scarrott. 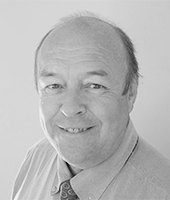 Roger quickly developed an interest in the Veterinary sector and works exclusively within the Vet team to provide proactive and commercial advice to clients, ensuring that their compliance and business advisory needs are taken care of. Roger works with veterinary practices of all sizes and offers a personal client service assisting in all aspects of their finances and strategic planning. Outside of work Roger is a fan of many sports and is a lifelong Exeter City fan, attending home games as a season ticket holder, whilst travelling to away games where possible. Roger also enjoys spending time with his fiancée, most of which is currently spent planning their upcoming wedding! Andrew joined Moore Scarrott in 2017 having worked in accountancy practice throughout his 30 year career (he doesn’t look old enough!) He specialised in tax work shortly after qualifying as a Chartered Accountant in 1984 before moving on to become a Chartered Tax Adviser. His experience spans all the many facets of tax faced by the owner managed business and wealthy individuals including dealing with entrepreneurs, their businesses, trusts and private financial affairs.